Why Does My Horse Stop to Eat Grass and How Can I Stop It? This is perhaps one of the most common challenges new riders face. 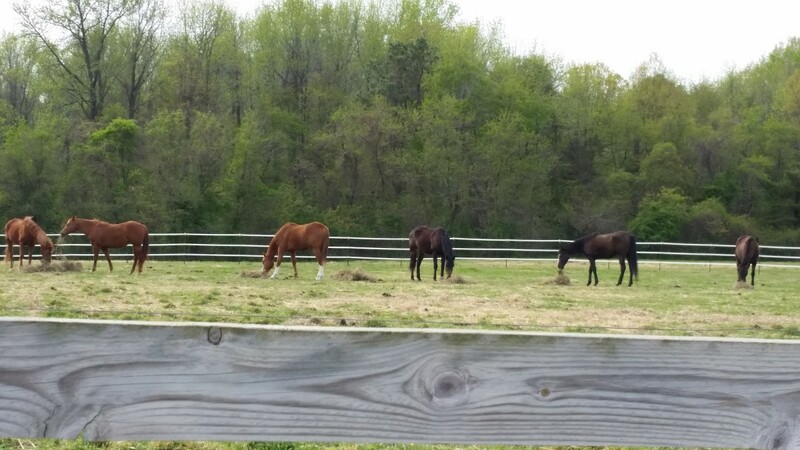 You may be wondering why horses stop to eat grass. It doesn't seem like such a big deal to some, but to me, this behavioral problem is huge. Horses spend the majority of their day eating, and the least they can do is be respectful and try not to eat while someone is in the saddle. Don't take it personally though, even the best horses, if given enough time to be distracted, have been known to reach down for some grass. 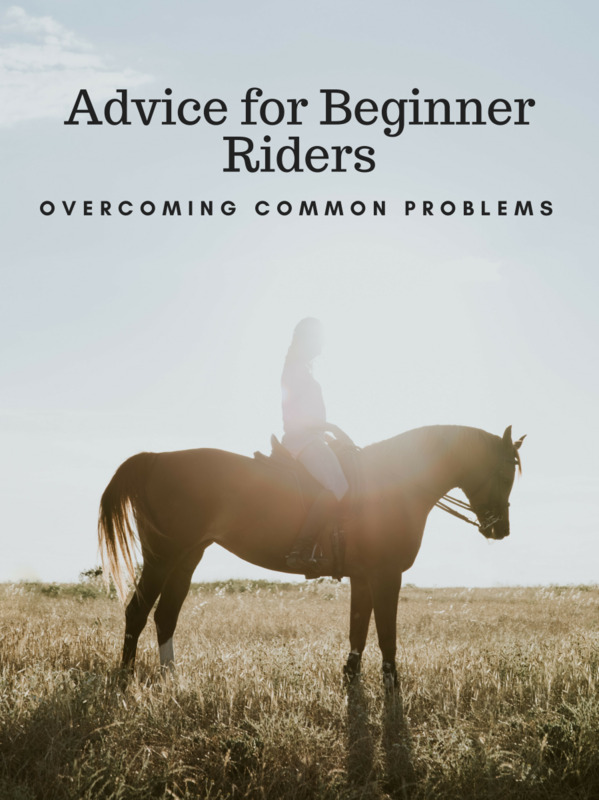 Let's talk about how to overcome challenging situations that lead up to this behavior and discuss some training activities you can do to develop your assertiveness as a rider. The first riding fault that causes a horse to think that he or she can stop and eat while being ridden is a lack of direction from the rider. In other words, the rider is being more of a passenger than a rider. This is easily fixed by sitting up, putting your leg on, and insisting that your horse move out when you say so. When you tack up a for a lesson, the horse is clocking in for work. You are the boss, and when you say go forward, they should go without question. If your horse tries to grab grass frequently during lessons, ride with a crop to reinforce your leg. That way, you give him two chances to move forward when you ask. The next time he doesn't respond, he get's swatted behind the saddle with the crop. Think of it as though you want your horse to be marching. If he is easily moving forward off of your leg, then he is anxiously awaiting whatever it might be that you ask him to do next. He will be focused on you and ready for the next instruction, whatever that may be. 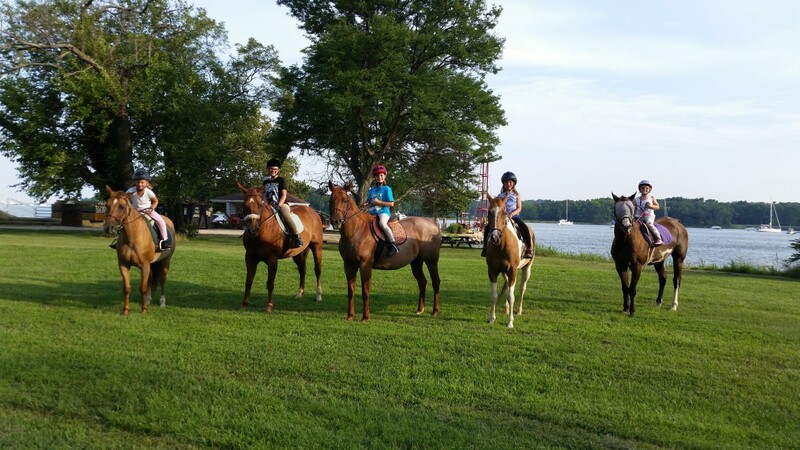 To practice marching, take some traffic cones or poles and set up a workspace in the middle of your riding area away from the grass. You can set up a circle or station for winding through poles—any simple task away from the grass to ride your horse through. When I say ride your horse through, I mean assertively—we are riding and not being a passenger right? Let's get started. Use your leg and crop (if necessary) to make him march through the pattern you set up. Try to find a steady forward tempo. If you start to lose your tempo, correct it right away. If the horse turns towards the grassy area, gently guide his head back in the correct direction. If for some reason he tries to abruptly turn and head to the grass, take the rein on the opposite side of where he is trying to go and bring his head around all the way to your foot. That will make him stop. As soon as he is pointed in the correct direction, take a deep breath and get right back to marching through our pattern again. It is super important that you turn his head away from the grass to stop him, and even more important to get him back to his marching exercise as soon as possible. We don't want him to think that he is getting a break from his bad behavior. Think "quick correction," then get back to work again. This exercise will help you build confidence in your ability to control your horse's direction and pace. That way, when it is time to get back on the rail and work again, you will be able to keep his attention and feel confident that you can walk him by the grass without him stopping for lunch. For this exercise, you will need the help of your instructor or a ground helper. Let's get started. Start by standing still on your horse. Loosen your reins so that your ground person can have enough slack to pull on your horse's mouth without hurting them. There needs to be enough slack that you can have a normal amount of contact. 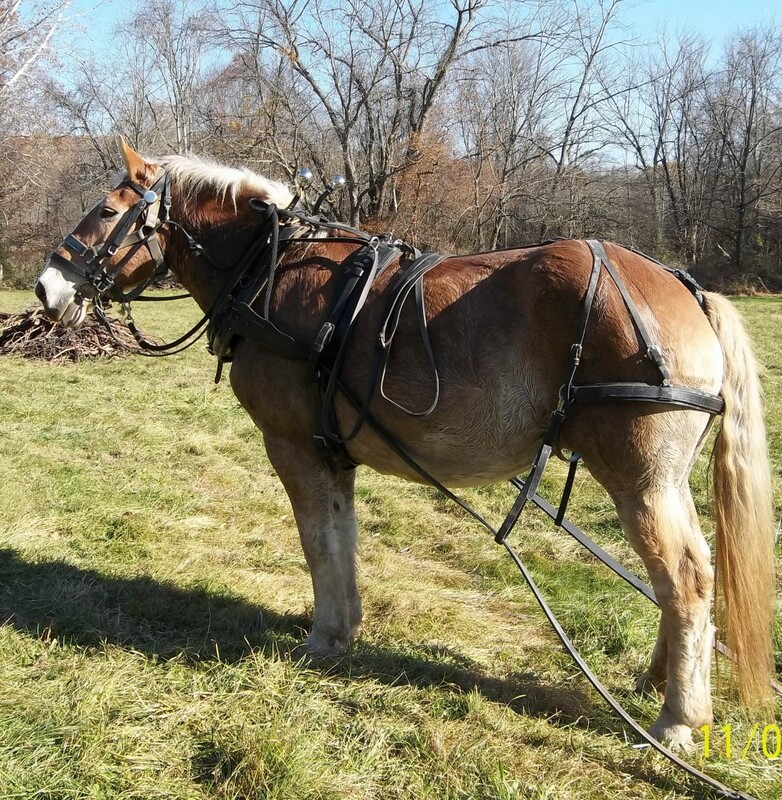 Have your ground person pull on the reins to simulate the horse pulling forward and down to get grass. As your helper pulls, think about putting your weight in your feet, pushing your hips forward, and putting your shoulders back (way back and even farther than usual if you have to). Feel your seat bones in the saddle—both of them equally deep down in the seat. When your position is correct, the motion of the horse pulling his head down to eat will only put you deeper in the saddle with your weight over your feet. This will give you the leverage you need to keep your horse from getting his head down in the first place, but if he does, you are in a better place to get his head back up again. I would recommend practicing this exercise until you can sit and hold the reins, and not let your ground person pull you forward out of the seat at all. This all boils down to the whole "leg too far back leads to shoulders too far forward" issue, which is the perfect set up for a sneaky lesson-horse or pony who wants to stop at the salad bar at the end of the ring. 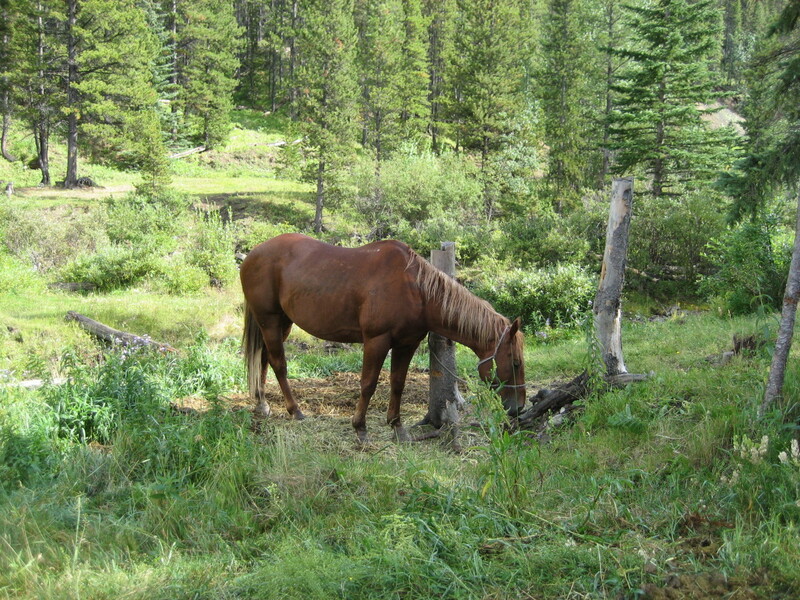 A good basic position goes a long way towards keeping your horse from stopping for a snack! This exercise is for riders who get scared when the horse tries to grab for grass, which is understandable. The neck of the horse is out in front of you normally and between you and the ground. If that buffer between you and the ground is gone all of a sudden, that can be a scary thing because your legs are back behind you and pitching you forward. You will most likely need a ground person for this one also. Let's get started. Let your reins get loose enough so that your horse's head drops down to the ground. Some horses will do this when you loosen up automatically, and others might require some help from a ground person. 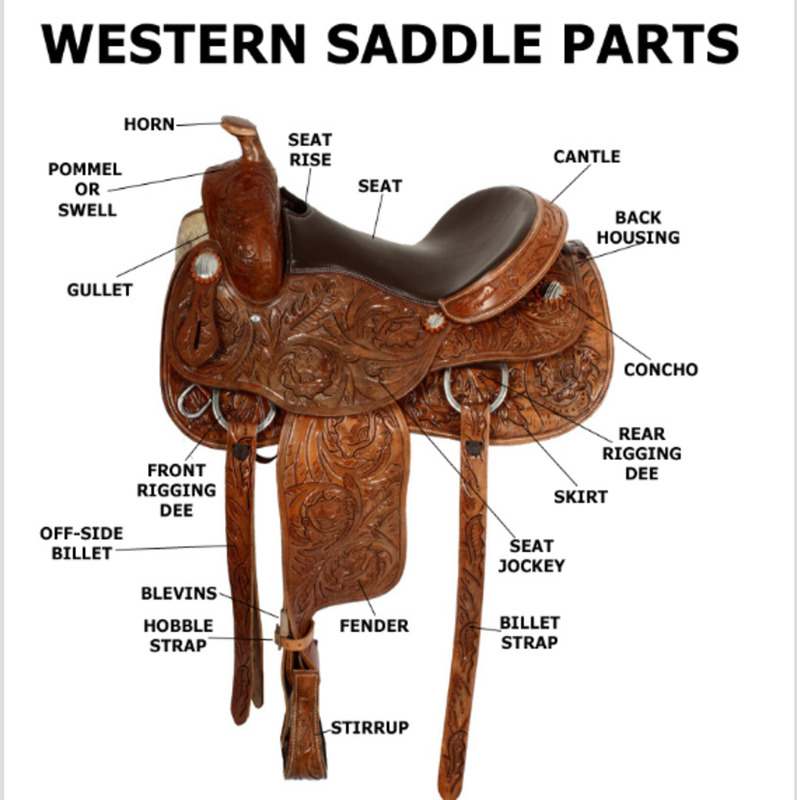 Once your horse's head is down, focus on your correct position in the saddle. Look forward (not down the sliding board of the horse's neck) with hips forward, shoulders back, and seat bones deep in the saddle. Once you have corrected your position, you are going to take a deep breath and realize that even though your horse's head is down, you still are balanced. A lot of people panic and curl up, which is the least balanced thing to do (and is bound to scare you even more). 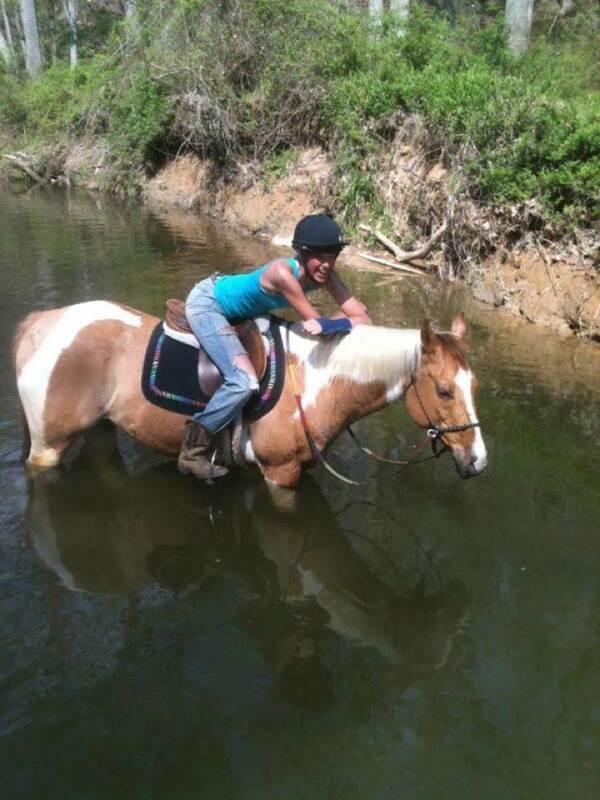 Just sit there, relax, and realize that you are balanced even with your horse's head down. Once you get more comfortable with that, practice letting your rein length change just a bit, which will allow the horse's head to go down. Then, use the skills you learned from checking your position to sit up, correct your lower leg and shoulders, and bring his head back to where you want it. 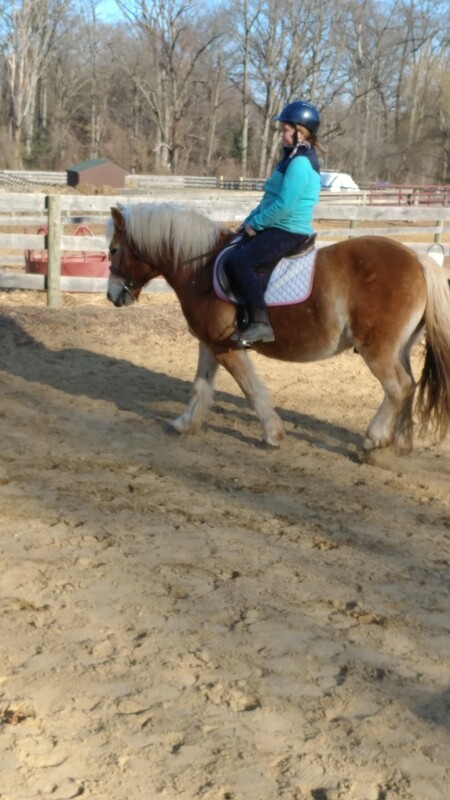 Put something small in your hand so that you have to keep your fingers closed around your reins in order to hold on. You can use pennies, pieces of candy, a little rock—whatever is handy. It is good to train yourself to have a firm grip on the reins so the horse can't slide them through your fingers. That way, you adjust them to the correct length and they stay there. 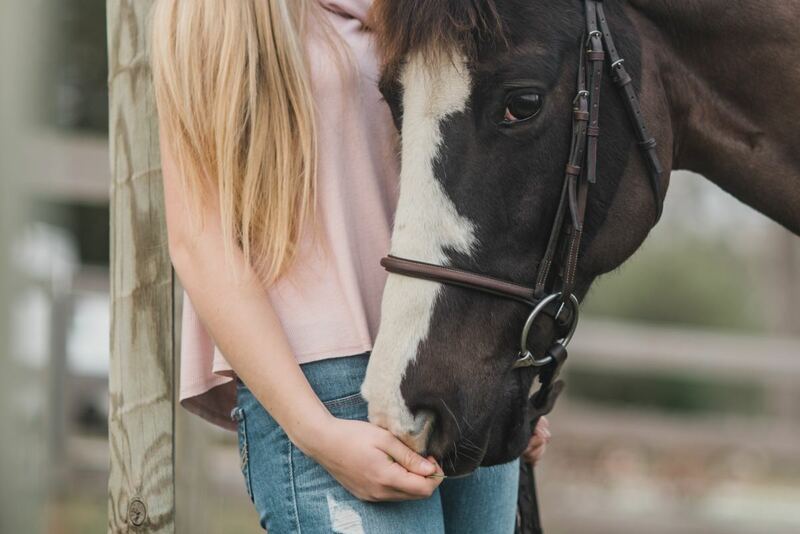 If you have a firm grip on the reins and do other exercises to work on position and keeping your horse going forward, you are going to get better and better at not allowing him to get his head down. There are two critical skills to remember if you are a beginner rider. 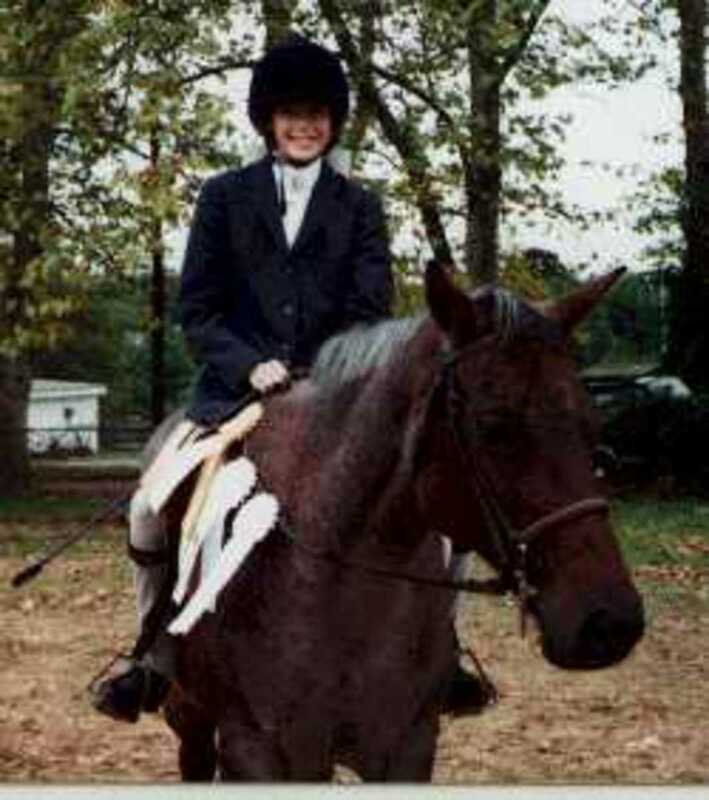 The first skill is proper position, and the second is staying assertive while in the saddle. Proper Position: Train yourself to ride balanced with a straight line from shoulder to hip to heel. Be the Rider (Not the Passenger): You are riding and not passengering! 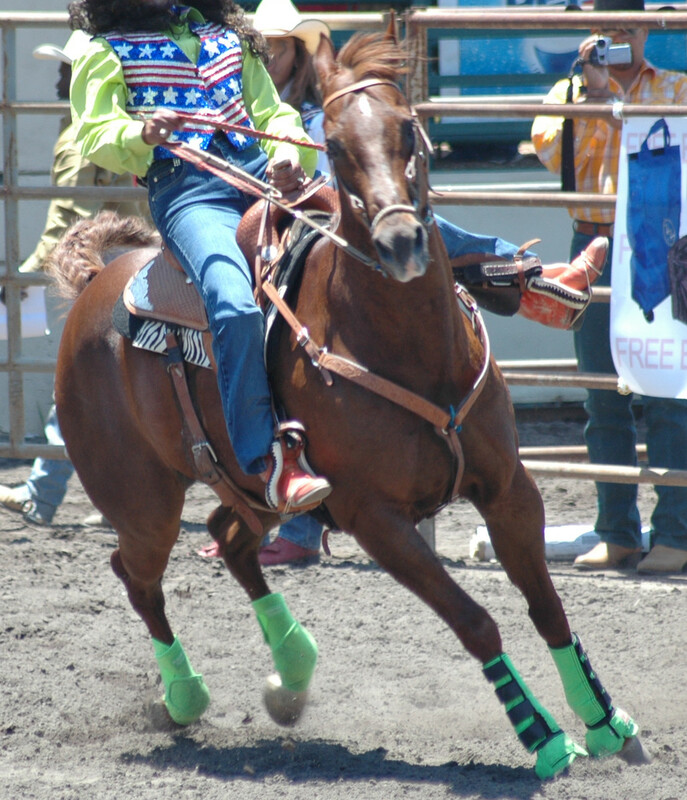 Remember to use your legs to send your horse forward and steer him with your reins. Our horses should never have time to wonder what we want them to do. We should ride assertively, then they will never question us or consider stopping for a snack at the salad bar!